I always wondered why I love coffee so much. 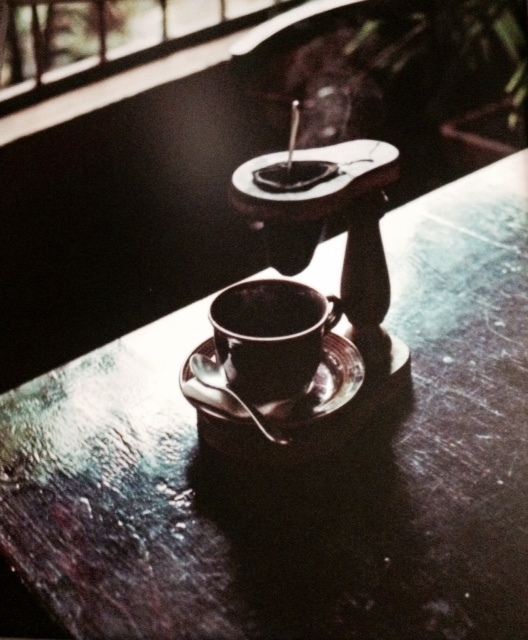 I have traveled the world and have had in my life easily more than 3,000 cups of coffee in many countries. One of my earliest memories of Cuba was when I was five and would stay with my maternal grandmother, Blanca Palau, in Marianao, Cuba. Then the rest of the coffee would be poured and mixed with hot milk. At five years old, they used to give me 80% hot milk with pure Cuban cane sugar and tainted with a bit of coffee so I would not feel left out with the whole family drinking cafe con leche (coffee and milk, cafe latte) at the breakfast table. The amazing thing about this ritual was that aside from the rooster continuously singing as if he could smell the coffee, and the wonderful aroma of fresh Cuban coffee - Mami Blanca would make her own butter! Amazingly creamy, it would be spread on a fresh baked baguette. Then I would take the piece of warm baguette with homemade butter and dunk it in my "cafe con leche." The explosion of flavors in my mouth was something I haven't forgotten to this day. Sometimes when I'm in Miami or any Cuban restaurant I will order "cafe con leche" con pan y mantequilla (cafe latte with bread and butter) just to pay tribute to my grandma, Mami Blanca. My mother, Lilia, passed away when I was five and the Cuban revolution took place at the same time. My father left Cuba with my younger sister and I. That is the last time I saw my grandmother Mami Blanca. After every Sunday mass she visited the grave of her only daughter, my mom Lilia, and left fresh flowers and cleaned the grave site. She did this until she passed away. She never left Cuba. Memories in our minds are connected with our five senses: hearing, vision, smell, taste and the sixth sense… the heart. Through these senses, every time I have cafe colao with bread and butter, my grandma relives inside of me.